Last Monday Rachel, Kim and I were invited to try a new fitness concept called Speedflex. Let me tell you a thing or two before I explain what Speedflex is all about. Some of you probably know I recently became a chef (oui oui I cook for my living) and I have no time or energy to actually exercise. Two half marathons in less than a month and I have had minimum training (these races are going to be a joke, but I'm not aiming for a time anyway). I feel so unfit, thank God I cycle now (wait till you see my helmet). When we got offered to try the class, I thought this was my chance to get back into the groove and move my body after 6 weeks of doing hardly anything. So here we are! First thing's first, what is Speedflex? 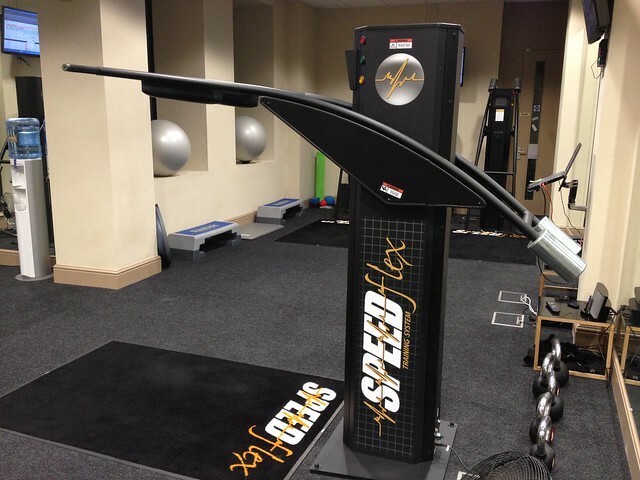 Speedflex was developed in 2009 in the USA and came to Europe in 2011, with their first London studio recently opened in London on Lombard Street. The 45 minute group session combine a low impact, high intensity, cardiovascular and resistance workout, based on the popular HIIT training. Each session includes motivational and measurement tools for optimum calorie burn and result - which means you can keep track of your progress as you are working out on live board, and, if you are that type of person, push harder to ensure you are in the "red zone". Before we started, we got measured (I'm 5'7 ) and weighed (you don't need to know, it's all muscle anyway ahahah) then equipped with a heart rate monitor. The 45 minute circuit features 7 unique Speedflex machines which automatically respond to and create resistance levels based on your own strength. On each machine we were focused on a different part of the body, and on top of that we had to do traditional exercises like sit-ups with a medicine ball, side lunges and stepper. 30 seconds on each exercise station and 5 seconds to get to the next one. We did it 3 times on our 'introduction session'. Madness. By the end of it all I could feel how unfit I became in 6 weeks...look at me trying to keep it together lol. Nostrils open to the max to breathe ahahah and isn't even a full session! 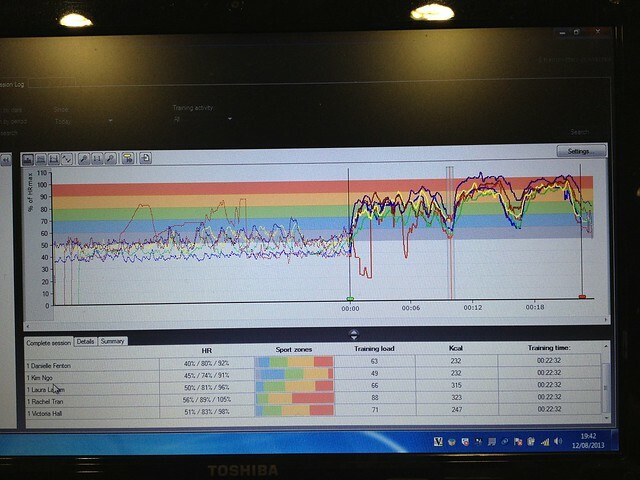 Each circuit is measured individually according to your weight, height and heart rate. The blue section was the warm up. Yellow represents the first circuit, green is the second circuit and red is the third circuit. As you can see Rachel went crazy on the last repetition lol. She burnt the most calories out of everyone else! The Speedflex training helps in accelerated fat loss, improved muscle tone, strength and bone density and enhanced power and speed. Without the added weights on the machines, you are less prone to causing yourself any injuries, and it means you have the opportunity to work out for longer, and at the same consistency as you started. And guess what? NO DOMS (Delayed Onset Muscle Soreness)! Yes this concept makes you burn more calories without the post exercise soreness. This is the ideal training if you don't like feeling DOMS the day after exercising, if you're not a gym bunny or into weight lifting. It is perfect for injury recovery. For further information on Speedflex you can visit www.speedflex.com or contact the Lombard Street Studio on 0844 543 3631 or reception.lombard@speedflex.com. Looking forward to our first full session soon!